TUSHKA, the Choctaw Indian word for "warrior", has a colorful history. Prior to 1872, the area was the heavily timbered hunting ground of the Choctaw Indians. Long before Oklahoma was a state, a settlement on the site that would be Tushka was emerging. When Indian Territory became the state of Oklahoma in 1907, the town was called Lewis, Oklahoma; however, in June of 1909, TUSHKA became the official name. The first school, in 1905, was a territorial subscription one, meaning parents paid the teacher so much per child. Classes were held under a brush arbor in the summer. Then in 1909, on land donated by Jim Butler, a brick structure was erected and served the children of the community until 1918 when it collapsed. 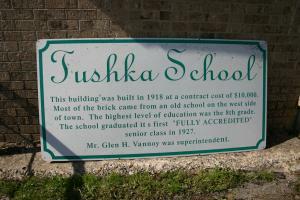 In 1918, a two-story brick building was built with the same brick across the street from the Tushka gymnasium. 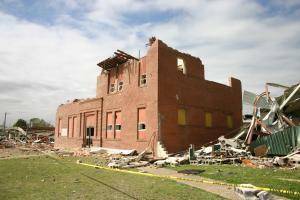 That same two story building served as the Library Media Center until the F3 tornado hit our town on April 14, 2011. 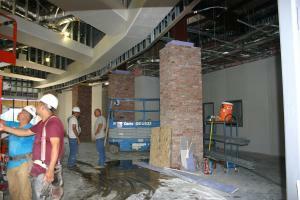 The bricks from the Library Media Center were used to create a columnar facade at the entrance of the new Tushka School and were also used inside the new library. 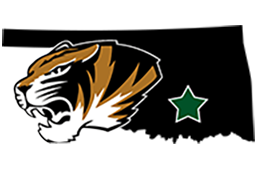 Tushka is a rural school, located in the south-east quadrant of the state, some 40 miles north of the Red River on Highway 69 in Atoka County. 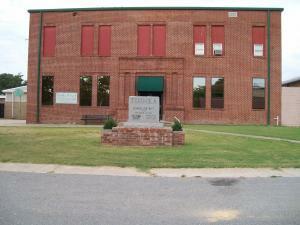 Today, Tushka Public School serves approximately 450 students in grades PreK-12. It continues its history of making its marks in all walks of life, well-known in the intellectual, political, athletic, and business worlds.